Welcome to Chandler Elementary! We are excited your student will be attending our school this year. We feel blessed to be surrounded by dedicated staff, the best students, and wonderful parents. Please take a few minutes to look around our website. We invite you to be partners with us in the education of your child. We also encourage you to join our PTA and be an active part of our school. As a team, we can accomplish anything. Feel free to contact us with your praises and concerns. We are looking forward to another great year here at Chandler Elementary School! I have been employed by KISD for 18 years. I taught 4th grade self-contained for 4 years, ELA for 6 years, and served as the Response to Interventionist/Interventionist/Testing coordinator/ Parent-Community liaison for 4 years at Kilgore Intermediate School. I was at Chandler for three years as the Assistant Principal before becoming Principal for the 2016-2017. I have a degree in Interdisciplinary Studies and a Masters in Reading from University of Texas at Tyler. I also have a Masters degree in Educational Leadership and a Doctorate in Leadership for Stephen F. Austin in Nacogdoches, Texas. I also have certifications in English as a Second Language, Reading Specialist, Master Reading Teacher, Principal, and Superintendent. I have been married to Bob Lindley for 36 years, and we are members of St. Luke’s Methodist Church. We have two children. Our son, Curtis, is a KHS graduate and is now a Head Chef in Salt Lake City. He is married to Tara, a Chemist. 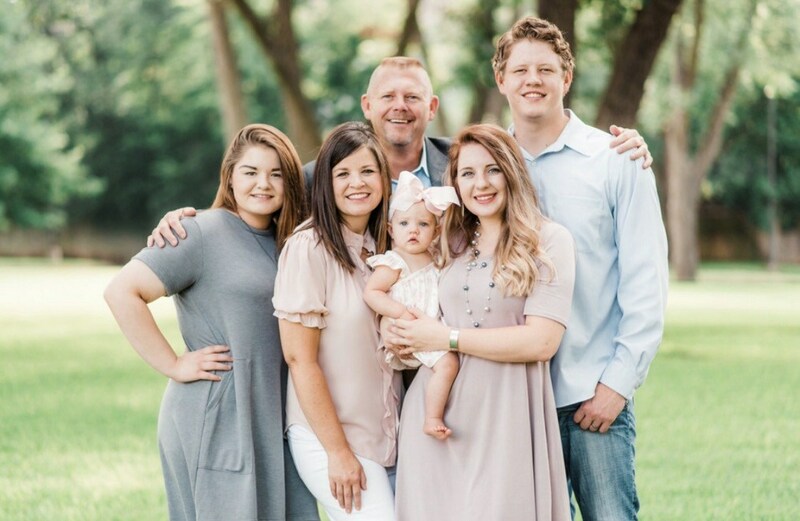 Our daughter, Becci, is also a KHS graduate and serves as the Diagnostician at Kilgore Primary School and Chandler Elementary. She is married to Bryan Thurston, a Highway Patrolman. 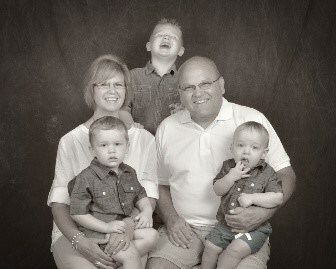 We have three wonderful grandsons. Les, the oldest grandson, is entering second grade here at Chandler and is in the Dual Language program. I enjoy spending time with family and friends, reading, going to the movies, and baking cupcakes/novelty cakes! I hope that you and your student enjoy our school. Our goal is to empower all students and provide a quality education in a caring and loving environment. We hope that each student chooses to make every day a GREAT day! As I enter my 18th year in education, I have to say this is the most excited I have been. Chandler Elementary opened their arms to me last year as a 3rd grade ELA teacher, and I fell in love with the Chandler family. I have always heard they save the best for last, and I believe this new adventure that lies before me is going to be the best yet. Before coming to Chandler, I had the privilege of working for East Texas Christian School as a teacher and administrator for a combined 10 years, Frenship ISD teaching ELA for 4th-6th grades, Longview ISD as an ELA 5th grade instructor, and Kilgore ISD as a 3rd and 4th grade teacher. I have a degree in Interdisciplinary Studies from the University of Texas at Tyler. I went on to earn my master’s degree from Lubbock Christian University in Educational Administration. I hold a lifetime teacher certification, English as a Second Language certificate as well as my principal certification. Prior to jumpstarting my career, I married my KHS high school sweetheart, Tom Watson. We have shared many adventures throughout our 25 years of marriage the greatest being our two children. Caleb is 21 and is married to Taylor and will be blessing me with the title of “Grandma” in September. To say I am excited is an understatement. My beautiful daughter Carli is 18 and will be attending Kilgore College in the fall. She is my fun loving child that always keeps us on our toes. Raising our children to be respectful and walk with integrity has always been key to our parenting goals. I feel the same way about every student I am honored to guide and nurture. My ultimate goal is to reach the heart of every child I encounter. I believe the success of the mind begins with the heart. They have to believe in their hearts they can trust those around them and begin to believe they can do all they desire to achieve. There is no greater joy than to see a child beam with pride knowing they met a goal. It makes all the hard work worth it. I am ready for another great year with my Chandler family. Dr. Lindley and I are here to help you with anything you need. We look forward to getting to know each of you. Get ready…it’s going to be a great year!